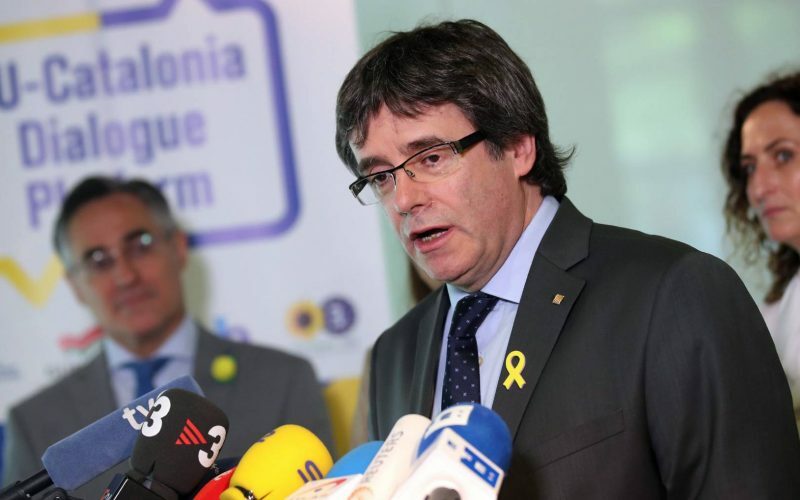 The court on Tuesday upheld its original view that extraditing Puigdemont to Spain to face rebellion charges is, “in principle, inadmissible.” The statement comes after the German court analyzed additional information provided by Spanish prosecutors to support the charge. The court also rejected a fresh call by prosecutors to hold Puigdemont in custody. “The message is clear. Puigdemont will remain free on bail in Germany, pending a final decision,” said a spokesperson for the German court. The ousted premier, who had been living in self-imposed exile in Belgium, was arrested in Germany during his journey back from a conference in Finland in late March, after Spain issued a European arrest warrant against him. He was held in custody for 12 days in the town of Neumünster, then released on bail while a court decides on his extradition to Spain. Since then he has been living in Berlin, where he has to register every week at a police station. Spain had hoped that the German judiciary would equate the Spanish crime of rebellion with Germany’s high treason, to ensure that Puigdemont can be tried for this offense, as well as misuse of public funds. This latest decision also underscores a disparity of opinions between the judges and the prosecution services at the Schleswig Holstein court. A court filing shows that prosecutors continue to support handing Puigdemont over to Spain for rebellion, as they had originally requested following his arrest. The European arrest warrant was created to speed up extradition processes, but critics say that in high-profile cases such as this one, judges are often granted excessive latitude to review a judicial process underway in another member state. The sticking point for his extradition has been the need for the charges brought by Spain to have an equivalent under German law. German prosecutors in Schleswig Holstein had supported the rebellion charge against Puigdemont, but the court ruled it out in an initial decision in early April. At that time, the court called for more information about the second charge of misuse of funds, on the basis that it did not have proof that the money spent on organizing the October 1 illegal referendum came from public coffers. Spanish authorities have since provided additional information about both alleged offenses.